Size 450 x 200 x 500 mm. 3 Fan, 12 cm. (Back) (top). Power SupplyNo Power Supply Fan Rear 1Fan. 12 cm. Length of 450 mm., Width 200 mm. 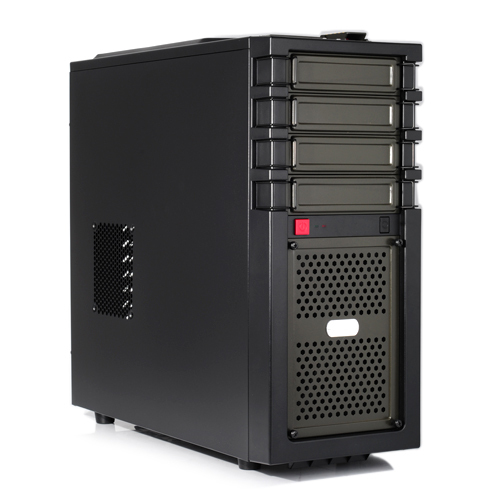 Higher 500 mm.Slot HDD5 SlotsSlot CD / DVD ROM4 SlotsUSB 2.02 Ports Top Fan 2 Fan. 12cm.USB 3.02 PortsMainboard SupportStandard ATX, microATX, Mini-ITXWarranty1Y.